Halloween is a day of entertaining tricks, delicious treats and ghostly costumes. 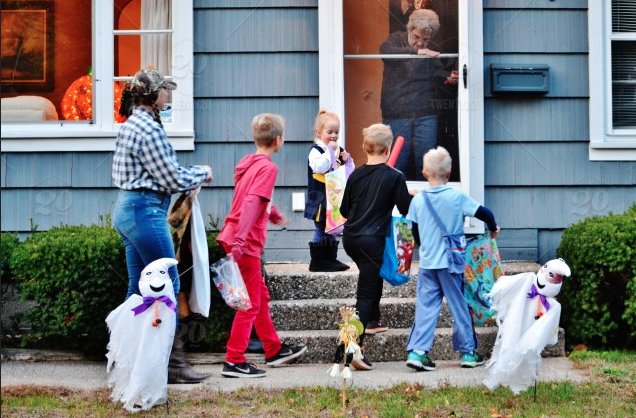 Throwing a Halloween party is a great way to ensure a “spooktacular” time for your kids and their friends! Decorations are a must have for your child’s Halloween party! Get some pumpkins, spider webs, lights and bats to “spookify” your home. You can either make your own decorations or purchase at any store. Stores like Party City, Target, Wal Mart and Jo Ann’s Fabrics carry an array of halloween decor, candy and treats. Trick-or-treat, give me something good to eat! Halloween is all about the treats. It’s important to serve some ghoulish delight treats to your party guests. Instead of purchasing treats from stores, why not make your own? *Make sure that your child’s guests have no food allergies before baking with nut products. We have the food and decorations, now what? Roll out the toilet paper and let’s play some Halloween games! Classic games like “wrap the mummy” or Halloween trivia are always a hit at any Halloween party. Do you have Halloween music on your playlist? There are a lot of tunes that are perfect for any Halloween bash. Halloween is all about dressing up and having fun! You can either have a Halloween theme party where your guests dress as your theme or just have a generic costume party. Don’t forget to have a costume contest with categories! What are your must-haves for your Halloween party?